Who killed Charlie Silver and left his body parts strewn about his cabin? Was justice served when his teen bride Frankie was hung for the brutal murder, or did the real killer go free? 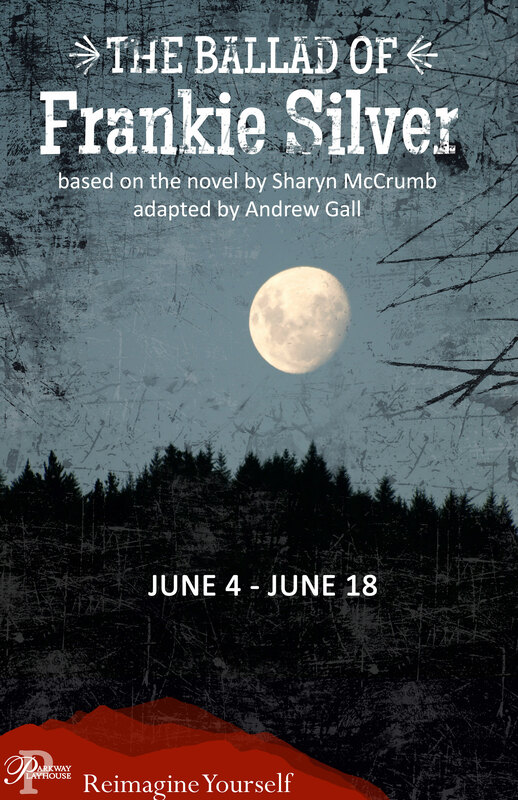 This sensational true crime tale unfolds in The Ballad of Frankie Silver, a new play adapted from Sharyn McCrumb’s popular novel by Parkway Playhouse Artistic Director Andrew Gall. Set in 1832 Morganton, the Silver story is narrated by the clerk of court, who questions whether Frankie was given equal justice under the law because she wasn’t allowed to testify on her own behalf. In a parallel story, a present-day Tennessee sheriff whose testimony led to a teenage fugitive’s death sentence now doubts the guilty verdict and is haunted by disturbing similarities with the Silver case. “It’s a fascinating slice of local history that explores issues still relevant today: the nature of justice, capital punishment, and the disempowerment of people due to gender and class bias in the legal system,” notes Gall, who previously adapted McCrumb’s novel Ghost Rider for the stage. Featuring dramatic courtroom scenes, The Ballad of Frankie Silver is a must-see for local history and crime buffs. On June 3 & 4, the playhouse will host a talk and book-signing with McCrumb and a tour of the graves (yes, graves) where Charlie Silver is buried.